One Year Indieversary! 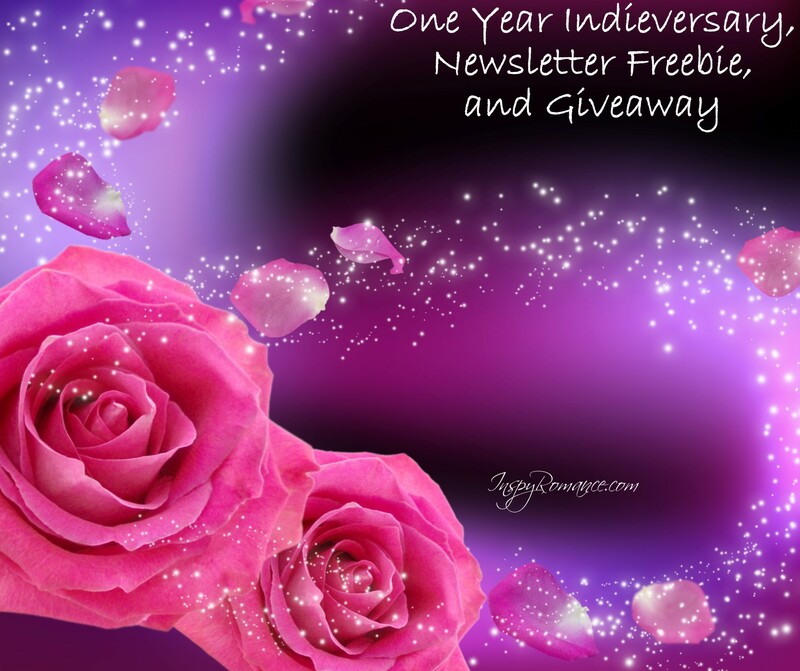 #Giveaway & Newsletter Freebie! Today is a very special day for me. Two days after my 40th birthday. Two days before the day I’ll be older than my mother ever was*. A good friend’s birthday (after he survived a heart attack at a young age a couple years ago). My 99th InspyRomance post. But none of those are the reason why TODAY, November 10, 2015 is super special. Today is my first indie birthday. November 10, 2014 my first book released. Finding Mr. Write went out into the big wide world to sink or swim on it’s own. 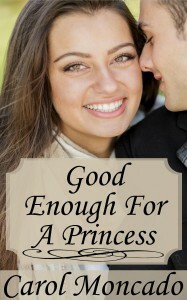 November 17, 2014 my second book, Good Enough for a Princess, followed in those footsteps. November 24, 2014 book three, Finally Mr. Write, made its foray into the world of ebooks. The last year hasn’t followed the plan I wrote out about 14 months ago when I first starting contemplating this indie odyssey. In many ways, it’s been beyond anything I could have dreamed. I’ve released eight full length novels (the ninth should be out by the end of the year /fingers crossed/). Three novellas weren’t even on my radar at this time last year. Two are out as part of box sets. One of those has been released separately, and the other will be soon. The third is book 2.5 in my current series and will be FREE to newsletter subscribers in the next couple weeks :D.
At some point soon, I need to reevaluate that indie plan, but for the wonderful reason of it going better than anticipated – always a good problem to have! It takes a lot of courage, I think, to follow your dreams. For me, writing has been a dream off and on for most of my life. It really took hold about six years ago when I started writing my first real novel. The road has been filled with ups and downs. But at every step, it took courage. To submit to that editor. To send a manuscript to that agent. To decide to go indie. Even the failures were successes – because without them, I wouldn’t have been as ready to go the indie route as I was this time last year. What about you? Have you followed a dream? Or regretted you didn’t? What would your life be like if you took that leap? 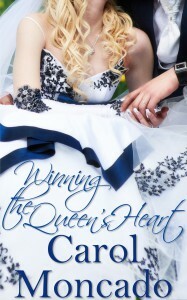 Let me know and you’ll be put in a drawing for Winning the Queen’s Heart**, book two in the Belles Montagnes series! Christiana Elizabeth Marissa Abigail has been queen of Ravenzario since her family died in a horrific car accident when she was five. Her uncle acted as her regent until she was of age. In the last year, the uncovering of his duplicity shook the country’s faith in her – and her faith in herself. At least she is finally going to get to marry her secret boyfriend. Isn’t she? American Alexander Bayfield has been in love with the queen of his adopted country for years. A chance conversation, one he wasn’t supposed to overhear, inserted him into Queen Christiana’s inner circle. For two years, he’s watched as her relationship with a man he knows to be evil progressed. The evidence to finally put him away for good has been uncovered and it’s up to Alexander to break the news to her. The aftermath leaves Alexander as the only one Christiana can turn to, the only one who can protect her reputation and, more importantly, her heart. Will he be able to win it for himself, or will secrets from his past, paparazzi who tell stories before checking facts, and the long-reaching tentacles of her uncle’s empire keep them from finding love? *My mom died of cancer three days after her 40th birthday. For me, on Thursday, I’ll be older than she ever was. **If you’ve already got Winning the Queen’s Heart, you can pick any of the others, including the upcoming Prince from her Past! I sure like reading your posts! Congratulations on all of your success!! My dream was to become a teacher. I ended up teaching special ed. students in the same district where I attended school! Hi Linda! Thanks for stopping by! That’s great! I’m a teacher too – though at the collegiate level (community college anyway ;)). I did one semester of middle school and that was enough! My oldest daughter has informed her band director she fully intends to take over his job when she graduates from college. And right now, it looks like he’ll be retiring the year she does ;). He’s fully on board with this :D. Ten years to go ;). I too wanted to work with children. I wanted to work with deaf children, but God saw a bigger picture for my life and now I work with sped children of all disabilities. I’m also in my childhood school district. That’s awesome, Marylin! I know my talents and abilities – and that sure isn’t one of them! I have the utmost respect for those who can! Marylin, that’s neat that you got to work in your school district like I did! Carol, good luck to your daughter! My son recently started his first year as a 6th grade English teacher and my daughter is going to school to become a speech therapist. God wants us to teach!! Writing has always been something I enjoyed, something I did for myself. I never dreamed I’d get published, Taking a chance and entering a contest sponsored by Harlequin has changed my world. Congratulations on your success, Carol! Hi Jill! Taking that first step and submitting is HUGE! I know! I entered lots of contests while pursuing traditional publication – it’s always nerve wracking! Thanks for stopping by! Proud of you! When I was young I dreamed of being a pilot. Well, vision challenges can affect that dream. Anyway, while I may be doing something else, I’m trying to listen to God’s voice as to what He wants me to be doing now. I’ve enjoyed reading your books and am waiting for the release of books 2.5 and 3 in the Belles Montagnes series! Thanks for having the courage to follow your dreams. Oooo! I’ve got a pilot story percolating in my head right now! Fun! What God wants – that’s always most important isn’t it? Novella 2.5 should be out by Thanksgiving at the latest – and hopefully next week! I stayed home for a bit this morning instead of going straight to work (I usually leave when the kids do and have about 3 hours to work there but have a sick doggy so staying until later), but while I’m giving a test today, I’ll be doing edits! Oh, and um, while I’m home I’m working on book 3 ;). That was the point! Sending you hugs – from one writer to another because YAHOO you did it and I’m so happy for you, and from one daughter who’s lost her mother to cancer to another because it’s never easy missing a loved one. Big hugs back, Ginger! I am so very grateful for you! You’re right – even after nearly 30 years, it’s not always easy. I still miss her regularly. I am friends with some people who were her friends – and those connections are worth their weight in gold. Three years ago I took a giant, scary leap and auditioned for my church choir. That one act led to more joy than I could have imagined. I am doing what I love. We just finished recording background vocals in our third album. The risk is so worth the reward! Good for you!!!!! That’s awesome!!! Congratulations, Carol! You’ve worked so hard for this, and I’m tickled for your success! Thanks, Val! Your support has been invaluable! I think I’ve read all but a couple of those indie books you’ve written in the past year! I really like your writing, and can’t wait for more. That’s awesome! I some friends who were missionaries to China for fifteen? years – I can’t imagine! Someday I want to sit down and have her tell me all about it. Congratulations to you on your success! My condolences on the loss of your mother. My mother has Alzheimers and Parkinson’s Disease. I really don’t like watching her memory fail her. She becomes so upset when she is trying to remember things. I had so many dreams when I was younger. Marry a military man. Check. Travel to Europe. Check. Have children. Check. Go to college. Check. Teach. Check. Grandchilren. Check. Travel the United States visiting historical sites. Check. Travel by train. Check. One dream that hasn’t been fulfilled yet. I want to experience being a train engineer and a train conductor. I long to see the hidden parts of our country only accessible by freight trains and passenger trains. Thanks for writing all your books. I love inspirational romance and inspirational historical romance. I am very thankful for authors and all their hard work. My mom died of cancer as well as my father and father in law. We do miss them. My youngest grew up without grandparents, but God blessed her with special friendships at church with older women. God always provides :-)! That’s fantastic! My paternal grandparents died before I was born and we lived a long way from my maternal ones and I never got to know them. I’m so blessed to have women in my life who knew my mother and fill some of that role for me. One is my BFF’s mom – I call her my “other mom.” The other has two kids who live in my town so I get to see her from time to time. Matt met her for the first time in the late 90s. She hugged him for about forever and he didn’t know what to do. He still calls her the hug lady even though we see her a couple times a year now ;). I love everything you have written!! You have incredible talent. Aw! That’s so wonderful to hear Mandi! Made my day! I always thought I wanted to be a teacher – and I am. But God saw fit to give me the best of both worlds. I work about 5 hours a week on a community college campus – I do more work than that most weeks, but that’s all I HAVE to be somewhere that’s not home. I like to say I get paid to talk to grown-ups ;). We don’t homeschool, but we live in a fairly conservative, fairly rural-but-still-close-to-a-biggish-small-city (250K in the “metro area” – I like to say the city is a suburb that isn’t sub-urban of anything ;)). And a Target! That’s big time :D.
How awesome – you are such an example – I need to follow that example and follow my dreams, even when things change! You can do it Felicia! Dreams change, and that’s okay! Go for it! Congrats Carol! I’m not entering the contest as I have your books so far and absolutely love them as you already know, lol. A couple of my dreams growing up (and something that would take insane amounts of money so not likely to happen) is to buy up lots of forested land for the wildlife that seems to get driven from their habitat more and more or the one I liked even better….to own a large ranch/farm with a nice house, multiple horses (plus barns and indoor arenas) and dogs to guard the place and open the farm up to kids free of charge to take lessons and use “their” horse (one provided by me for use) to take to 4H events and shows if they wanted. They would have been responsible for taking care of “their” horse during the duration. I love animals especially horses, cats and dogs. That would be awesome!!! I LOVE IT! And that doesn’t mean it CAN’T happen – but it could mean that it’s not time YET. Wouldn’t that be just like God? To use the wait to teach us a lesson of some sort?! I know it has for me! Congratulations on a stellar year! You deserve to celebrate. I dreamed from an early age that I would be a nurse. It never crossed my mind to do anything else. I was totally focused on that goal. Plus I dreamed of being a medical missionary and that dream was realized as well with medical missions in the Caribbean and Africa. I feel I have been truly blessed. Now I am retired and enjoying life in a whole new way. That’s fabulous Sharon! Some people know from the beginning. My oldest has bounced around to a few different things but since picking up a saxophone about 18mos ago, that’s been her focus. A band director – at her school. She’s told her current band director this and it looks like he’ll be retiring at the right time ;). It turns out my husband’s maternal grandfather played in the Marine Corp band in WWII (so there were LOTS of potential band members I’m sure! And it wasn’t even where he was originally assigned!) – he played alto and tenor saxophone, clarinet, and piccolo. She comes by the talent honestly and is working hard toward that end. Truly blessed is a great way to put it! 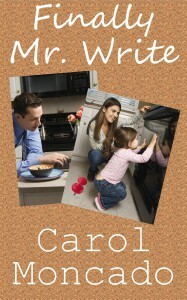 Carol, I forgot to tell you I started reading your latest book the day it came out and could not put it down. I read most of it till 3 AM and had to stop but finished it the next morning. I loved it. Keep up the good work. I love these princess/princely stories. Congrats on your 1 year anniversary.Your books are wonderful. I look forward to the next one. I agree with all the post I have read that you are an exceptional writer. I love your books and will continue to read whatever you write. Congratulation on your wonderful success. I wish many more years of story creation and hope you continue to be blessed. My dreams were to be a writer but life got in the way and I never truly pursued it. Now I just enjoy the wonderful books written by christian authors. Thank you for all your wonderful characters and interesting story lines. I will looking for your new books when they come out.